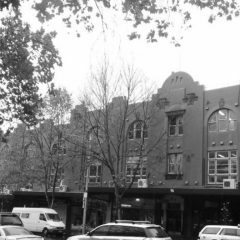 82-106 Oxford St, Darlinghurst is a heritage building with multiple office and retail tenancies owned by the City of Sydney. 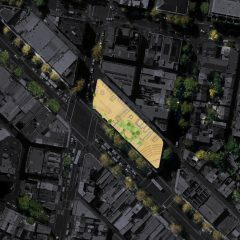 We were engaged to conceptualise options for the adaptive reuse of the rooftop into a public space with opportunities for food and beverage tenancies. Major issues included fire egress and code compliance, accessibility, integration of new works with heritage facades, provision of multiple tenancies at rooftop level, and introduction of environmental sustainability strategies. 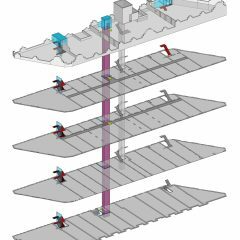 The design solution proposed a strategy to insert a prefabricated ‘scissor’ stairs and new lift into existing areas thereby ensuring code compliance with minimum disruption to existing tenancies, without the need for additional floor area for fire escapes while minimising construction time. Designed a mechanical system upgrade using equipment that stores energy at night, when electricity generation is cleaner, more efficient and less expensive, and delivers that energy during the peak of the day to provide cooling to the building. A by-product of the system, cold water, is then used to irrigate the landscaped rooftop. Successfully negotiated with City’s heritage advisor to allow new mechanical exhaust ducts on an external laneway façade thereby minimising disruption to internal tenancies, ensuring serviceability and addressing cost and time constraints.